Remember, even if you can’t afford a gown by a top designer, use these photos as inspiration for your own dress. Often, a talented dressmaker can remake a gown for a fraction of the cost! All photos are from Martha Stewart Wedding. The 4 dresses below have stunning detail on the top, and simple, flattering skirts on the bottom! Gowns by Marchesa. These gowns by Oscar de la Renta stand out from the crowd, and the outburst of flowers and pastel colors definitely says “spring!” Patterns and pants, colors and cut-outs– whatever you go for you’re sure to turn heads! Lots of feminine lace, frills, and bows characterizes Monique Lhuillier’s line of gowns this season. Long or short, these dresses are all lovely! 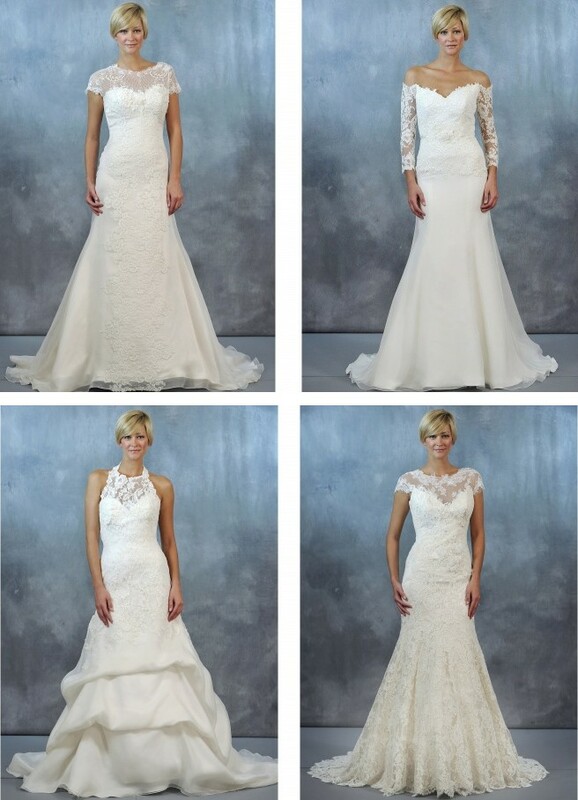 We like a little extra cover, and the delicate lace additions on these dresses by Jenny Lee are just perfect for spring! 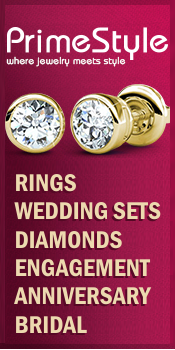 Looking for something with a bit of old-time glamor? These gowns by Rivini should do the trick nicely! Vera Wang is going wild in red this season, with lots of interesting shape and texture. From deep maroon to fire-engine red, you’ll make a show-stopping entrance in one of these gowns! 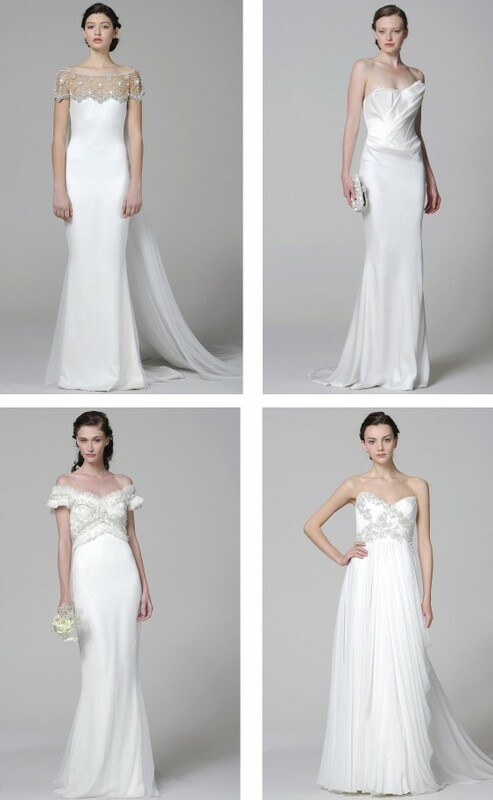 And for something sweet and classic, try one of these gowns by Allure. Each one is prettier than the next! Want to see more? Martha Stewart Wedding has more gowns from these designers and others! I really love the red dress, it looks exquisiteness!